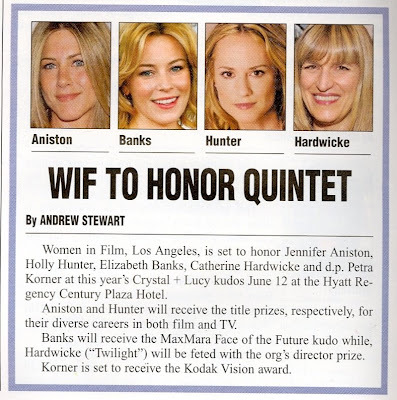 Elizabeth Bank's Blog: Women In Film's giving me an award! Women In Film's giving me an award! I'm not sure what Face of the Future means, but it's a little sci-fi, a little naughty and a tad preposterous.